Rhyming is one of the basic activities you do while learning to read. It is fun to team this up with a fun theme. Garden has many different words that have fun endings. 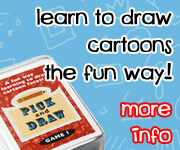 They make a great way to work on rhyming with drawing and writing for kids. I’ve made a fun printable to work on rhyming words. This has been one of the favorites from some of the themed packs. So I thought it would be fun to pull out and use. The garden words that were used were: corn, hose, dirt, boy, pot, and seed. These were fun words to use. Plus working on rhyming is always fun. Each of the pages has a page for writing and a card building the words. It allows you to use it as a learning center. They can mix the letters on the card to see what words might work. Then they can write the words on the sheet. Here is a look at how is set up the center for them to work on. They had a pencil and some Appletters . There are 6 cards for building words that match up to each of the sheets. There is the ending of the word and a picture of the garden word that matches to the ending. I give them several letters to make words. Not all the letters have to make real words. After making a few words they filled out the sheets. They wrote their words and then drew one of the words and wrote a sentence using one of the words. It was a fun activity for them to do. Click here to get your copy of the Free Rhyming with Garden Words. This entry was posted in learning to read and tagged free, garden, printables, rhyming. Bookmark the permalink.